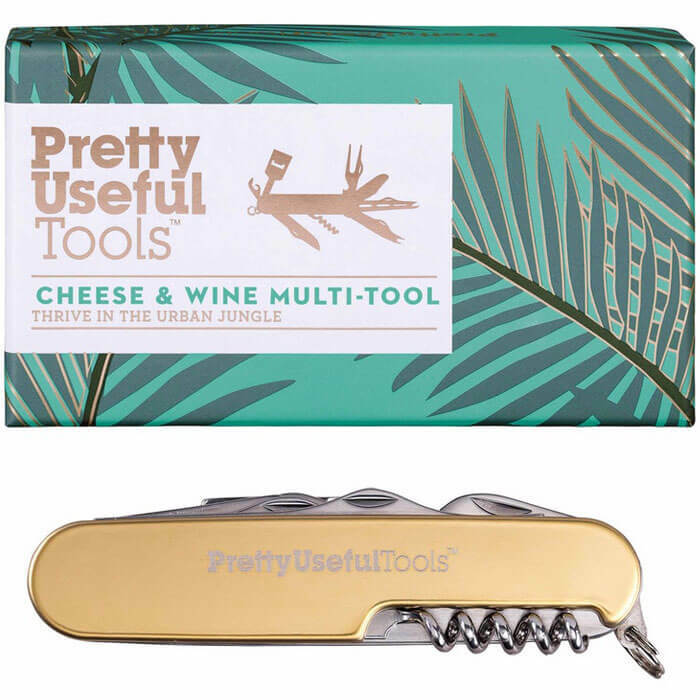 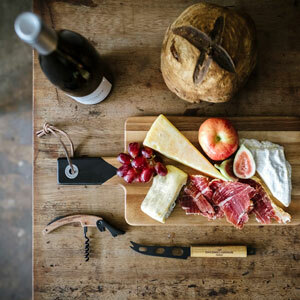 The Cheese & Wine Multi-Tool is a must-have for all cheese and wine lovers! 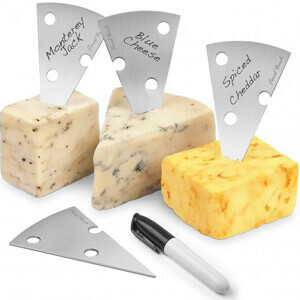 This ingenious gadget splits into three parts, and has exactly the right utensil for slicing, spreading or cutting every type of cheese from soft and crumbly to extra hard and creamy. 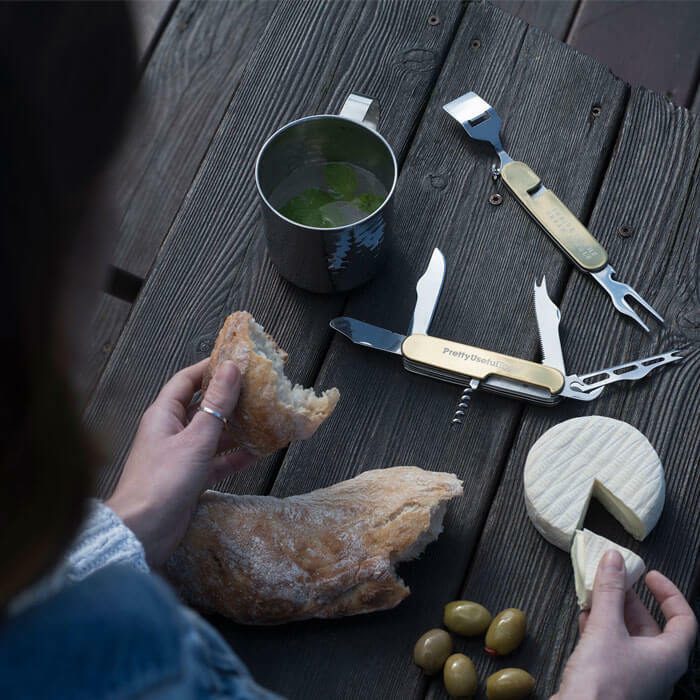 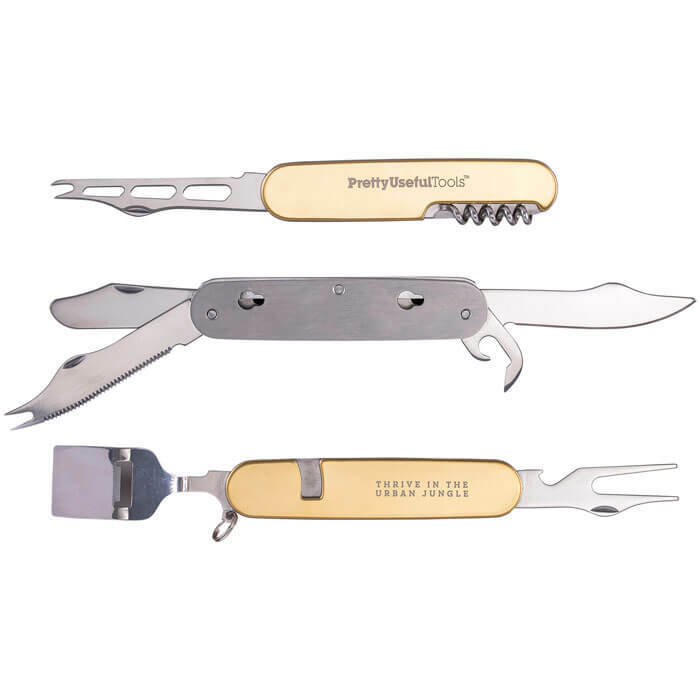 Within its sleek gold casing, there's also a corkscrew and fork implement, bottle opener and can opener. 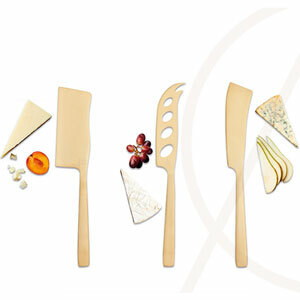 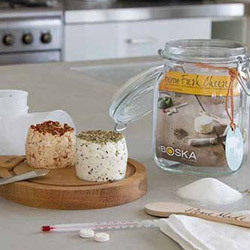 Pack it in a picnic basket, or keep it by your cheese board, this tool will definitely set you apart as a cheese gourmand!